In fact, integrating new project team members in an existing team actually changes the dynamic for the whole team! 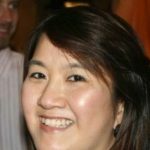 In this episode Venetia Foo walks us through a failure moment, where as Scrum Masters we are part of the integration process for a new team member, but that’s not an easy process at all! Listen to what Venetia learned from that story and what she does now when a new team member joins the team. Previous Previous post: Learning on the job is the new Certification!